Carpet Roles UK are delighted to be assisting their clients, a specialist Flooring Contractor to the New Build Homes Sector with their impressive growth plans and as part of this we are seeking a Site Manager to help with the day to day running of contracts on multiple Housing (new build) developments on behalf of our clients North West based Head Office in Cheshire with Southern Offices in Bedfordshire where this role is based to help deliver excellent service on multiple sites in the area. The company, established in 2008 are based in the North West and have a turnover in the region of £5m per year, impressive growth in 6 years with more to come. They opened an additional office in the South last year and already it is exceeding its expectations and the potential is massive. They are now seeking to import additional experience of the House Builders Market and this role will be able to offer the right candidates opportunity for personal development career wise. The role is a key part of the operation and requires a Flooring Fitter with the ability to run teams who is looking for the next step in their career and to “get off their knees” and develop a managerial career. Be an experienced Flooring Professional, Ideally with extensive experience of the House Building market and Flooring sector. Ideally you will aspire to be a Flooring Project Manager with great knowledge of flooring and fitting so consideration will be given to candidates with a Great Track record as perhaps a Fitter or Estimator. 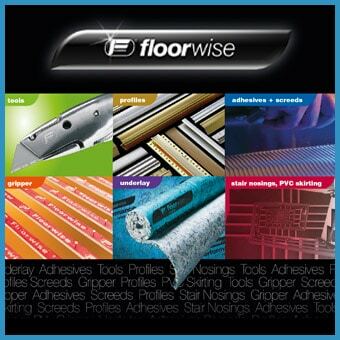 Capable and knowledgeable of all types of Flooring and their fitting and a keen eye for detail and the prevention of snags. Confident dealing with Flooring Fitters, Site Management and other Trades. Hold an SSTS or Similar Safety Certificate or be prepared to undergo training to obtain one. Able to deal with pressurised situations and deliver excellent results every time. Excellent Presentation and Time Keeping. In return the company can offer a genuine opportunity to get involved with a real success story and become a key team member in the short term with clear progression to Project Management in the future. Salary will be negotiable but competitive for the right candidate (c£30k to start). For Immediate Consideration for this role please forward your CV (In Confidence) to [email protected]carpetrolesuk.com or follow the links below on this page.